Typical cat and mouse game directed ok with plot issues. Nothing extraordinary in this typical cat and mouse film. 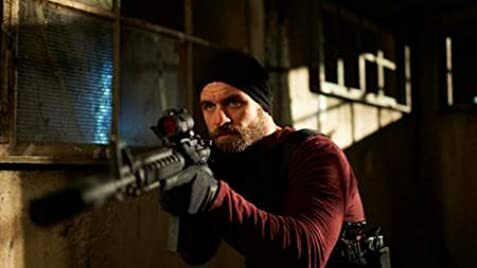 Novice writer/director Matthew Hope did a decent job directing the cameras but not so much in directing his cast, as most actors were missing their 'skip in their step', especially Milo Gibson. The pacing was a bit drab, and the writing had many plot issues. The fight scenes choreography was surprisingly decent and the military tactics on point. Milo Gibson's acting was too stale, as the majority of his lines were too monotonic and he seem asleep throughout most of his dialogue. His fight scenes however, were on point. 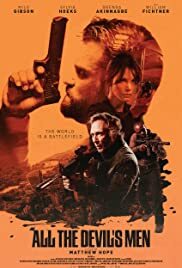 For me, the only three stand-out lead actors were William Fichtner (too bad only a mall role - haven't seen him do much lately), Joseph Millson, and Gbenga Akinnagbe killed it (well, compared to the rest). And enjoyable film to see if you're craving action and nothing else to watch on a Sunday afternoon, but nothing memorable. It's a 6/10 from me.